Schools Will Soon Have To Put In Writing If They 'Lunch Shame' : NPR Ed Advocates hope the recent law out of N.M., banning school staff from shaming kids for not having lunch money, helps to shape policies the USDA is requiring school districts write by July 1. Every day in this country students come to school without a way to pay for lunch. Right now it's up to the school to decide what happens next. Since new legislation out of New Mexico on so-called lunch shaming made headlines, we've heard a lot about how schools react. Some provide kids an alternative lunch, like a cold cheese sandwich. Other schools sometimes will provide hot lunch, but require students do chores, have their hand stamped or wear a wristband showing they're behind in payment. And, some schools will deny students lunch all together. I'm hoping communities really put pressure on their own districts to say, 'We want our children fed.'" 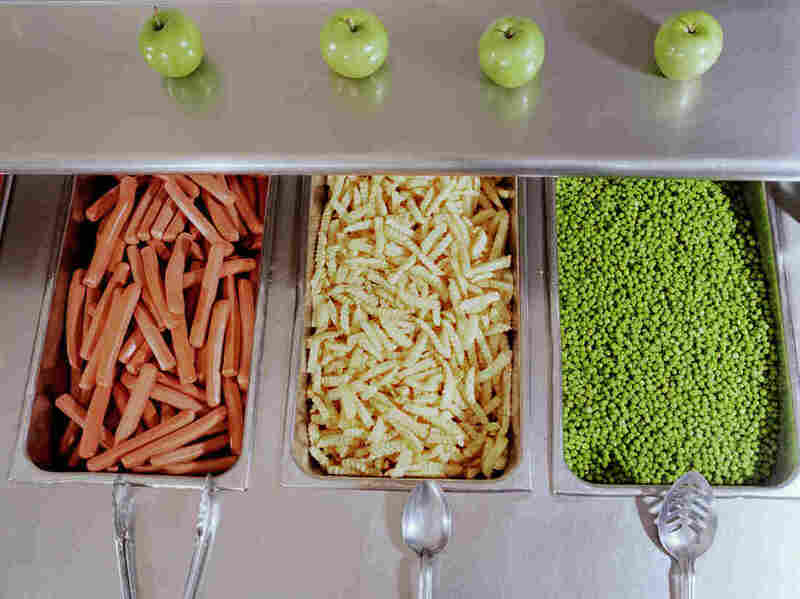 With policies to handle unpaid meals all over the map, the USDA, which administers the federal school meal program, will soon require that all school districts have a policy on what to do when kids can't pay — a growing problem. By July 1, those policies must be in writing and communicated to staff, parents and the community. "We're saying feed these children first, and let the grownups sort out the finances," says Jennifer Ramo, who's with the anti-hunger group, New Mexico Appleseed. About nine years ago she says she started hearing stories about kids receiving a tray of food only to have it tossed out by a cafeteria worker when they realized students didn't have the money to pay. 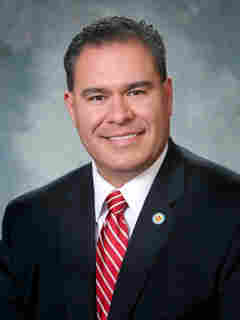 Seeing the need, Ramo worked with New Mexico state Sen. Michael Padilla to write the state law banning schools from shaming children without the ability to pay for meals. "A lot of people are very disgusted by this practice and they're reaching out — calling their own state senators and state representatives and asking them to get on it immediately," says Sen. Padilla. Since the bill became law earlier this month, he says lawmakers from around the country have reached out to see how they can address the same issues where they are. Texas and California are already working on similar legislation. California Democratic state Sen. Robert Hertzberg introduced the Child Hunger Prevention and Fair Treatment Act. "When I presented the bill, the two Republican senators on the committee joined as co-authors. How great is that? It just tells you this is not a partisan issue. It's a basic fundamental human issue everybody gets," he says. The School Nutrition Association found about 75 percent of districts had some unpaid student meal debt at the end of the last school year. Part of the challenge is that students who qualify for free or reduced priced meals through the federal school lunch program, aren't signed up. The law in New Mexico aims to deal with that fact. Jennifer Ramo says her state law is leading the way. Perhaps the timing couldn't be better. She says she's confident that because districts must now put their debt policies in writing, they will get much more scrutiny. "I'm hoping communities really put pressure on their own districts to say, 'We want our children fed,'" she says.